sport some of the finest technology the shoemaking industry has to offer. Unfortunately, it can be overwhelming to shop for athletic shoes if you are not familiar with the latest terminology and trends. If you find yourself puzzling over the difference between an EVA (ethylene vinyl acetate) and PU (polyurethane) midsole, or wondering exactly what “motion control” means and why it is important, then this is the chapter for you. and much more! Whether you are an amateur athlete or burgeoning star, this chapter will guide you in finding athletic shoes that can help you reach your personal best. Ready, set, go! Purchase shoes that cater to your foot type. Do you have high arches or low arches? Do you over-pronate or supinate? The answers to these questions will determine the type of athletic shoe you should be wearing. Turn to Chapter 1 to learn how to identify your foot type, or flip ahead to Chapter 3 to learn about running shoes designed with specific foot types in mind. Buy sport specific shoes. Different sports place different demands on your body, and sport-specific athletic shoes are designed to meet those different demands. 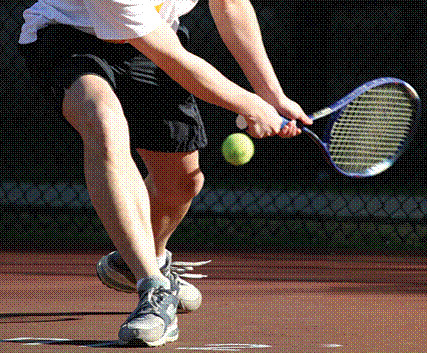 See below for specific footwear guidelines for tennis , basketball , and other sports. 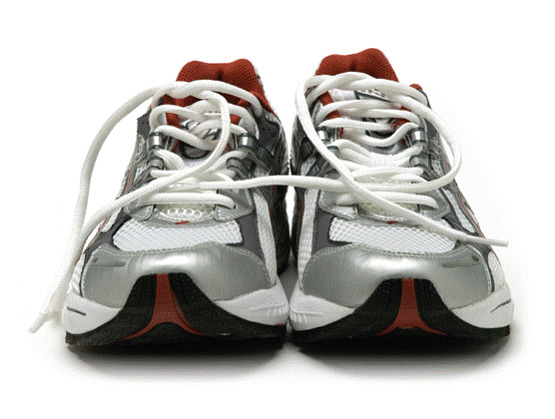 Use your old athletic shoes as a guide. By examining the wear on the outsole, you can learn a lot about your stride, foot type, and running style. 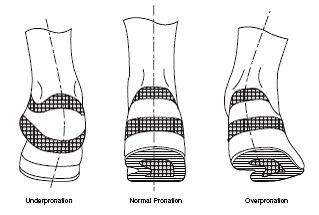 Overpronators tend to put more wear on the medial (inside) side of the forefoot of their shoe soles. Under-pronators tend to put more wear on the lateral (outside) side of the forefoot of their shoe soles. It is best to take your shoes to an expert at your local shoe store for a determination—assuming that you can find an expert at your local shoe store. Try on athletic shoes with the proper socks . Your athletic shoes will fit differently depending on the socks you wear. Be sure to purchase athletic shoes only after trying them on with the proper socks . Look for socks that will absorb moisture. (Not only does this keep feet dry, it can also help prevent blisters!) Acrylic and polyester blends generally work better than cotton. Replace running shoes every 300 to 400 miles. Over time, running shoes lose their ability to cushion and support your feet. Running in flat shoes can lead to complications such as runner’s knee and plantar fasciitis. Take your time when trying on shoes. Be prepared to invest time before making a purchase. You can easily spend upward of 45 minutes in an athletic shoe store trying on different styles and brands. If the store has knowledgeable employees, ask someone to help you get a great fit. The best athletic shoe salesmen can determine a lot about the type of shoe you need just by watching you walk and examining your feet. Consider the demands that different physical activities place on your body: Sprinters move forward through space, while tennis players shuffle side-to-side. Basketball players start and stop suddenly in short, explosive movements, while cross-country runners withstand many miles over difficult terrain. It makes sense that different sports would require different shoes! Of course, it is not necessary to invest in sport-specific shoes for the occasional game of hoops with your buddies. But if you are clocking regular hours each week, then finding a shoe designed specifically for your sport will improve your athletic performance and preserve the health of your feet and body. Aerobic shoes should support the body as it makes quick, lateral movements; they should also absorb shock from jumping, running in place and stepping down. Basketball shoes should help the athlete change direction quickly; they should also absorb shock from jumping and protect against ankle injury. Cleated shoes are designed for Cleated shoes , football and soccer ; they should provide the athlete with excellent traction when playing on natural surfaces. Note: Athletes can choose between molded (i.e., permanent) and detachable cleats . 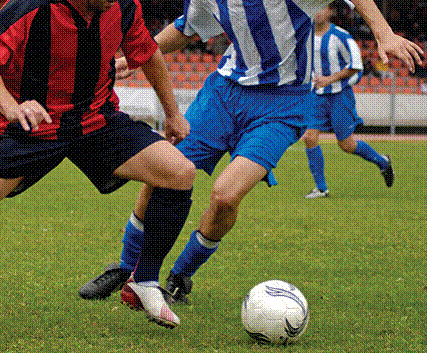 In general, molded cleats are best for turf and detachable cleats are best for grass. 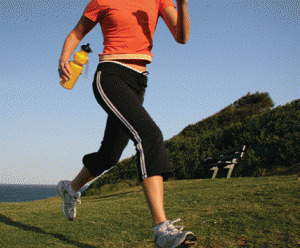 Cross-trainers are designed to be used with a variety of sports. They incorporate features from running shoes and court shoes. Cycling shoes should help the cyclist maintain good contact with the pedal at all times. Note: Some cycling shoes have cleats that help the foot grip the pedal. Cycling shoes vary depending on whether they are used for road racing, touring, mountain biking, or spinning. Tennis shoes should support the body as it makes quick, lateral movements; they should also absorb shock and provide excellent traction. should help absorb shock and control pronation. Their design varies widely based on foot type. Please refer to The Five Basic Types of Running Shoes below to learn more about what to look for in running shoes . Walking shoes should help the foot smoothly roll from heel to toe. Some cushioning and motion-control features may be necessary. As mentioned in Chapter 1, “How to Get a Good Fit,” pronation is your body’s way of absorbing shock. The extent to which your body naturally pronates is very important when it comes to choosing a running shoe that will properly support your feet, ankles, knees, and hips. 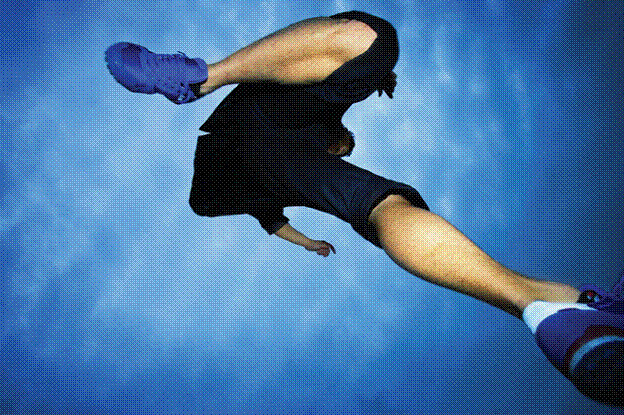 First a quick refresher: Pronation occurs as your foot strikes the ground and rolls from heel to toe. During this transfer of weight, your arch collapses slightly, and your heel and ankle roll inward. All of these motions together make up pronation. Unfortunately, Mae West was not referring to pronation when she declared: “Too much of a good thing is wonderful!” Too much pronation is bad for the body. The arch flattens almost completely, and the ankle rolls too far inward, putting stress on the bones, ligaments, and muscles of the foot. Over-pronation can lead to complications such as plantar fasciitis and runner’s knee. Not enough pronation can also damage the body. People who under-pronate essentially lack cushioning. Their body’s limited ability to absorb shock can lead to complications such as shin splints and tendinitis. This phenomenon is referred to as under-pronation or supination. The diagram and videos below will help you picture the difference between regular pronation, over-pronation, and supination. Pronation is related to arch height. People with low arches tend to over-pronate, while people with high arches are most often supinators. If you need help determining whether you over- or under-pronate, take a close look at an old pair of running shoes . People who wear out the medial side (side toward other foot) of their outsoles first are normally overpronators; people who wear out the lateral side (side away from other foot) of their outsoles tend to be supinators. But be sure to check with a doctor for a diagnosis or ask an expert shoe salesman to take a look. There are five major types of running shoes . Three of these shoe types—motion control , stability , and cushioned running shoes—are determined by your foot type. If you need help determining your foot type, or refreshing your memory on terms such as pronation, over-pronation, and supination, please refer to Chapter 1 on “How to Get a Good Fit.” The other two types of running shoes—trail shoes and racing shoes —are determined by the circumstances in which the shoes are to be worn. Runners who have low arches or flat feet. Runners who are moderate to severe over-pronators. Runners who are heavier and need extra support. The medial post is a wedge of high-density EVA material (Note 5) that is inserted into the sole of the shoe on the medial side (i.e., the inside of the foot). The dense foam resists compression, and this resistance reduces the amount the foot rolls inward with each stride. Medial posts come in various sizes and densities depending on the amount of resistance needed. Bigger is not necessarily better: It is possible for a shoe to have a medial post that is too large and too hard for your foot. Medial posts are easy to spot because they are often made in a contrasting color. They generally run from the heel to the ball of the foot. Note 5: EVA or ethylene vinyl acetate is a foam commonly used in midsoles of athletic shoes . Please see Midsoles: EVA versus PU below for more information. Runners who have medium arches. Runners who are mild to moderate pronators. Stability shoes offer features found in both motion control and cushioning shoes—but to a lesser extent. The goal is to support the foot without interfering with the foot’s natural and healthy pronation tendencies. You can count on stability running shoes for excellent arch support and midsole cushioning. They correct for slight over-pronation but are not nearly as restrictive as proper motion control shoes. Stability running shoes are usually built on a semi-curved last. This category of running shoes is best for the majority of runners. Runners who have high arches. Runners who are supinators, or under-pronators. Runners who need extra traction. Runners who need more durable shoes. Runners who need thicker, more durable soles. Trail shoes are designed for people who need tough shoes that can handle off-road conditions. These shoes will hold up through all kinds of weather and on rough terrains. You can find trail shoes suited for different foot types. Runners who have no motion control problems. Runners who need shoes for fast-paced training or racing. These shoes have very little to offer in terms of stability, cushioning, or durability features. They are designed to be as lightweight as possible in order to increase the runner’s speed. Racing shoes tend to have a low heel and flexible forefoot. They are not recommended for people with injuries or pronation problems. When deciding which running shoe to buy, one of the most important features is the midsole. Tucked between the outsole and the insole, the midsole is responsible for absorbing shock each time your foot hits the ground. It can also promote foot stability and correct for conditions such as over-pronation. Midsoles are generally made from two basic materials: EVA and PU. This compound is neither plastic nor rubber but foam. Every EVA midsole is made up of thousands of foam bubbles, the same way cells make up a tissue. Each foam bubble is filled with air. The result is a material that is lightweight and flexible. Every time you land on an EVA midsole, your shoe breathes a little: Air is pushed out of the bubbles as the midsole takes on the body’s weight, and then rushes back into the bubbles as your foot leaves the ground. This foam is formally known as polyurethane. It is heavier and denser than EVA, and for these reasons, it is generally less preferred by runners. However, PU midsoles tend to hold up better over time than EVA midsoles. (The bubbles that make up EVA midsoles eventually lose some of their air permanently.) To summarize: PU midsoles give less bounce in the beginning but their bounce lasts longer. Midsoles are sometimes made with a combination of the two materials. The classic design is to put PU on the outside of the midsole where the shoe receives the most stress and then maintain a light EVA core. Note: Often shoe companies will use special terms or “company lingo” to describe their midsoles. Notice the “EVA” in Asic’s SpEVA® midsole or New Balance’s ACTEVA® midsole.